Today’s show is for vinyl lovers who believe that the humble record shops are a cultural institution. Over the years, music has become a soulless throwaway industry where we can carry around every song ever made on the phones in our pocket. It should be no surprise to hear that the traditional vinyl album is once again proving to be a big hit with music lovers who appreciate the art of music. 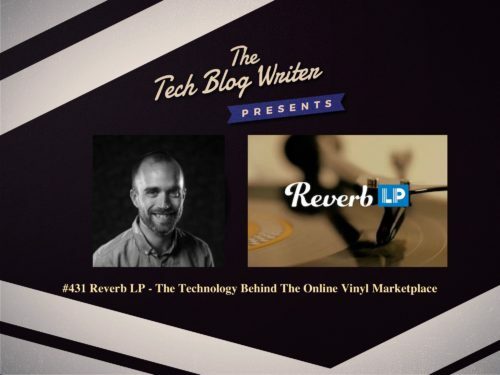 records on Reverb LP and when an item sells, the company takes just 6 percent, making Reverb LP one of the most cost-efficient options available for selling physical music online. of record collectors, musicians, and music lovers. sales dashboards and Reverb Sites, which will allow stores and collectors to create their own branded website with their Reverb LP inventory synced and integrated. I invited Reverb LP President Dan Melnick onto the show to find out more about this expansion and the technology behind Reverb that makes it all possible. David Kalt creator of Reverb appeared on #81 and #188 of the Tech Blog Writer Podcast.